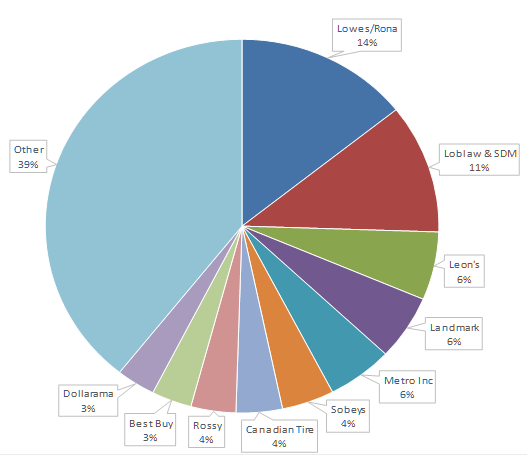 This pie chart shows Partners REIT’s top tenants on a gross leaseable area basis across its portfolio. Our portfolio consists of a diversified mix of well-known, quality retailers. 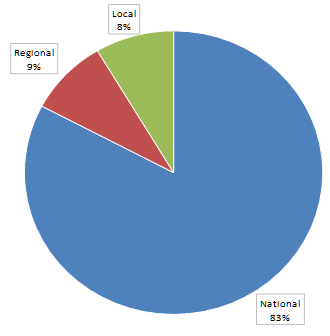 Our portfolio also includes a large portion of national and regional retailers.